The Ringling Bros. and Barnum & Bailey Circus known for their amazing acts involving animals has announced they will stop performing with elephants by 2018. This was confirmed by the Associated Press who were told the decision was made because of the growing public concern about how the animals are treated. 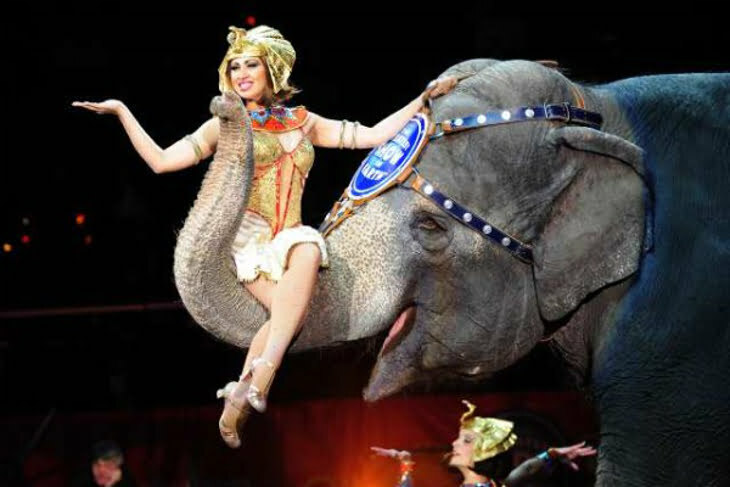 The executives from Ringling’s parent company said the decision to end these spectacles was really hard for them and was debated for a long time. They say elephants are a huge part of the company and the shows are an old tradition. The elephants have been featured on the circus posters since the beginning. Not all is bad, some customers agree with the decision and are happy to see the elephants being phased out. Two hours after the announcement, animal rights groups took credit for the decision and said that the pressure put on from them led to the surprising decision. “For 35 years PETA has protested Ringling Bros.’ cruelty to elephants,” Ingrid E. Newkirk, president of People for the Ethical Treatment of Animals, wrote in a statement. Some animal groups are still not content and want the circus to end the shows right away. Feld, the parent company of Ringling’s owns 43 elephants and the majority live at the company’s Center for Elephant Conservation in Florida. Only 13 elephants will continue to tour with the circus before being retired by 2018. Growing public concern wasn’t the only thing that forced the decision. 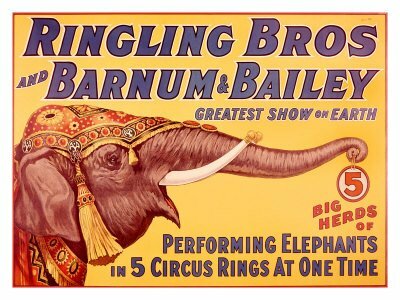 Company President Kenneth Feld said that cities and counties have passed several ”anti-circus” and ”anti-elephant” ordinances. This has limited the show to 115 cities a year. Feld and his company won’t bother to fight these regulations and ordinances because he thinks the resources used to fight these things can be put towards the care and preservation of elephants. After 2018, the circus will only use tigers, dogs, goats and camels. More daredevils, stunts, and motorsports will be added to replace the popular elephant acts. Ringling says their competitors (Cirque du Soleil) don’t use exotic animals and are very successful at what they do. Feld is used to adapting and change. In 2008, he acquired a variety of motor sports properties, including monster trucks and the International Hot Rod Association. This Association promotes all kinds of events, especially drag races. His events are attended by more than 30 million people a year. Wow! “There are endless possibilities,” said Juliette Feld. Look to see less elephants and more human stunts by 2018.